ADDIS ABABA , Nov 22 2012 (IPS) - The world received contradictory signals about Ethiopia’s human rights record when in the same week it was elected to the United Nations Human Rights Council, a major German charity closed its Ethiopian office in protest against a restrictive political environment. “If the qualification to be elected to the UNHRC is the human rights record of a country – then Ethiopia should not have been appointed…. the condition of human rights in this country is disastrous,” Endalkachew Molla, director of Ethiopia’s oldest rights organisation, the Human Rights Council (HRCO), told IPS. Ethiopia, together with four other African countries – Kenya, Gabon, Côte d’Ivoire and Sierra Leone – was elected on Nov. 12 to serve as a member of the UNHRC for a three-year term beginning on Jan. 1, 2013. 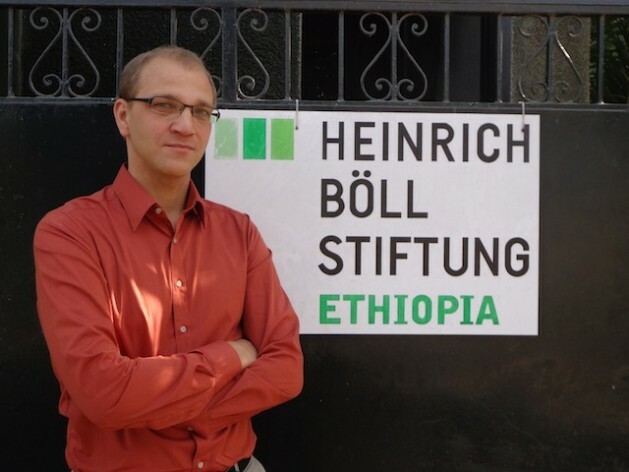 In the same week, one of Germany’s major civil rights groups, the Heinrich Böll Foundation (HBF), decided to close its office in protest against the human rights restrictions in the Horn of Africa nation. The closure is the most high profile so far in Ethiopia. Böll Foundation is an NGO that promotes democracy and human rights, with 30 offices across the globe. “Our mission, to work together with local partners for democracy, gender equality and sustainable development, can no longer be carried out. The closure of the office in Ethiopia is a sign of protest by the foundation against the ongoing restrictions on civil rights and freedom of speech,” said Barbara Unmüßig, director of the HBF, in a statement on Nov. 7. Unmüßig was referring to the controversial NGO law passed in 2009 known as the “Charities and Societies Proclamation”. This law places restrictions on the work, operations and funding of human rights organisations in Ethiopia. It prohibits any human rights organisation from receiving more than 10 percent of their funding from foreign sources. Because of this law, the HBF office, which opened in 2006, was forced to shrink its mandate over three years from the promotion of democracy and gender equality to doing mostly environmental work to be consistent with the new law, according to country director Patrick Berg. Other laws passed subsequent to 2005 include the Mass Media Proclamation and the Anti-Terrorism Proclamation, launched in 2008 and 2009 respectively. These laws have attracted opprobrium for their broad and ambiguous language. Peaceful protest and dissent can now be considered terrorism, and critical reporting by the media can be construed as “encouraging terrorism”. To date 11 journalists have been convicted of terrorism-related offences in Ethiopia under the anti-terror law. “We are allowed to provide crafts training for women, but we are not allowed to help them demand their constitutional rights. Our mandate is to encourage an inclusive political debate – but the current law makes that impossible,” Berg told IPS. In addition, a recent guideline to the law states that a maximum of 30 percent of an NGO’s budget can be devoted to administrative costs. Berg studied the definition of what an administrative cost was and he was alarmed to discover that the definition was extensive enough to account for the majority of costs incurred by his organisation. “Overnight, our core work of producing and disseminating information and providing space for public dialogue is now seen as an administrative task. There is no way to comply with these rules without changing who we are. We are not willing to do that,” Berg said. In 2009 the HBF had accepted working under the restrictions with the hope of reaching an agreement with the Ethiopian government that would fully restore the organisation’s previous scope of work. However, after three years of fruitless negotiations, the foundation finally decided to close. The “Charities and Societies Proclamation” has become notorious for granting the government latitude for interference, surveillance and direct involvement in the management and operations of organisations. Currently there are nearly 3,000 international civil society groups, NGOs and charities operating here, and 400 of these have been warned about operating against the rules and regulations of the law. However, Endalkachew believes that restricting foreign involvement in human rights creates a rationale that is inconsistent with the Universal Declaration of Human Rights adopted by the U.N. in 1948. “Human rights know no borders, they are universal. It is an agenda for all human beings. Why can’t human rights in Ethiopia have the same unlimited access to resources as agriculture and infrastructure do?” he asked. The HRCO and the country’s leading women’s rights organisation – the Ethiopian Women Lawyers Association (EWLA) – had their bank accounts frozen in December 2009 after the passing of the Charities and Societies Proclamation, despite the fact that all their foreign funding had been received prior to passage of the 2009 legislation. The EWLA had provided free legal aid to over 17,000 women. In 2011, the organisation effectively ceased to function. In October, Amnesty International and Human Rights Watch protested against the decision by Ethiopia’s Supreme Court to uphold the freezing of assets amounting to 500,000 dollars belonging to the HRCO. The HRCO’s outreach and capacity have been severely restricted by the 2009 law. They have been reduced from 12 branches to three, from 60 staff members to 12 and have had to close offices across the country. The scope of their aid services to victims of human rights violations has been quashed. “We can remain a human rights organisation but only as a resource-less organisation,” Endalkachew said. According to Endelkachew, the deterioration of human rights in the country stems from the civil unrest that followed the 2005 elections, when a large number of the opposition was voted into power. After these events, the government introduced a series of proclamations including the 2009 “Charities and Societies Proclamation”. Good read here about human rights, and raises a lot of questions around Ethiopia. Endalkachew Molla’s comments in particular… However, “there could be reason to be hopeful about the future of human rights in Ethiopia.” certainly, if indeed the point of electing them was to spur them on to improve human rights in the long term. I am immigrant I don’t know nothing but some old wise man once told me food without freedom. Freedom without food both are nothing… So mr. We don’t want ur human right without food. If you think that the UN is a free and democratic organ which is meant to serve the interest of all nations freely and equally as the name indicates, you are mistaken. The UN or World Bank are meant to promote the interest of its major contributors particularily the USA and its allies. If the woyane fascists ruling Ethiopia were anti-West there would have been more uproar to stop them to be a member of the Human Rights organ of the UN.